I have had the biggest craving for smores for quite some time now. I forgot every time I went to the store to get supplies, maybe it’s because I wasn’t super sure on how to get this done. Because part of the smores experience is roasting the marshmallow. If you’re over the age of 10, you can happily make these babies in your oven. Would a fire still have been wonderful, you bet. But less mess (yes), and half the time. Plus I was inside. Mosquito free. 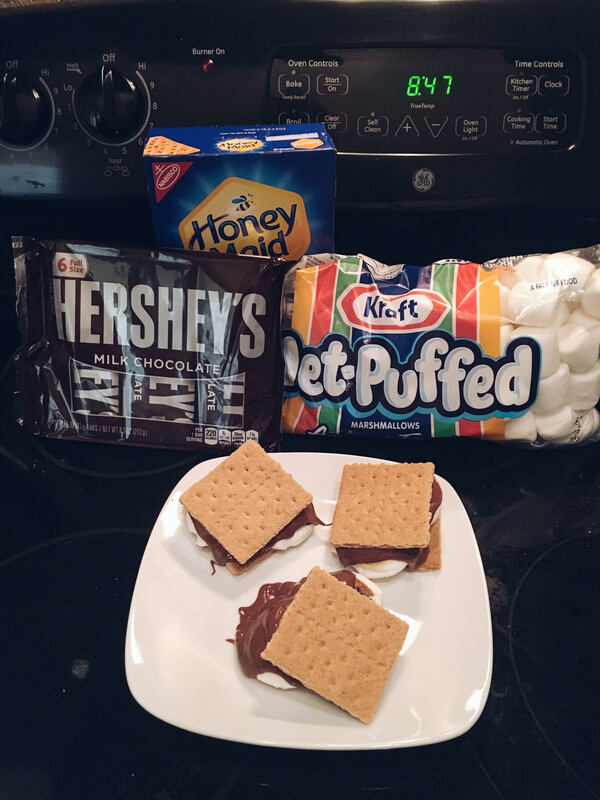 Place a marshmallow on a piece of graham cracker and place into the oven for 5-7 minutes, depending on how you like your mallow. Place chocolate and another piece of graham cracker on top. The best Blueberry Smoothie. Ever.